When I first heard these two terms used together long ago, I knew I would be a long-time lover of quilting arts. Who doesn’t love the thought of eating Jelly Rolls while engaging in their favorite past-time, quilting. It wasn’t until I learned shortly thereafter that the term “Jelly Roll” is used to describe coordinating fabrics that have been pre-cut into strips and coiled into a ball to resemble a Jelly Roll. 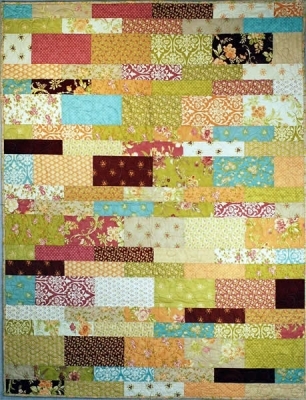 Here we present some of the many quilt patterns our designers have whipped up using Jelly Rolls at QuiltWoman.com. Raid your stash to create this Trellis quilt pattern. It is constructed with easy strip piecing, and is quick to cut out and assemble. If you can use a rotary cutter, you will find this pattern a breeze. It is great for Jelly Rolls (as wells as Charm Packs and Layer Cakes.) The finished size is 44″ x 59.5″ and it is for a beginner level quilter. This charming quilt pattern made with Jelly Rolls was designed by Tracy Ward of 3-B Girl’s Quilts. This is one of our current favorite jelly rolls. From Moda Fabrics, it’s called Colette by Chez Moi. 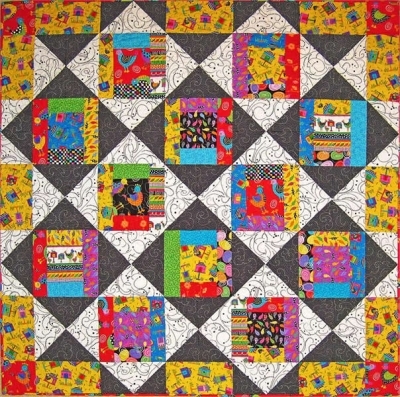 It can be used to create many of the quilt patterns shown here. We also like the Valley Jelly Roll also by Moda. The Fieldstone quilt pattern is another simple quilt pattern that can be made from Jelly Rolls. The twin-size Jelly Roll (or layer cake) “recipe” leaves you enough pieces to make a matching pillowcase (pattern included). It is a true scrap friendly project! This charming quilt pattern was designed by Anne Wiens of Sweetgrass Creative Designs. If you are in love with Jelly Rolls, check out our many Jelly Roll patterns at QuiltWoman.com. 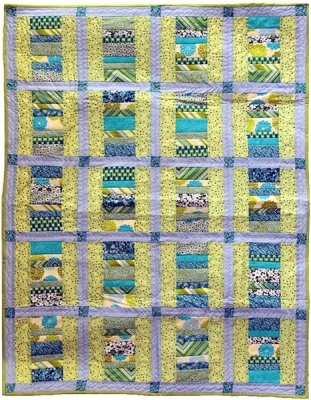 This entry was posted in Designers, patterns, QuiltWoman and tagged Anne Wiens, Jelly roll quilt patterns, Moda, QuiltWoman, Sweetgrass Designs. Tracy Ward. Bookmark the permalink.